If you are away from home a lot or if you spend time relaxing in the great outdoors this portable drinking cup will come in handy. 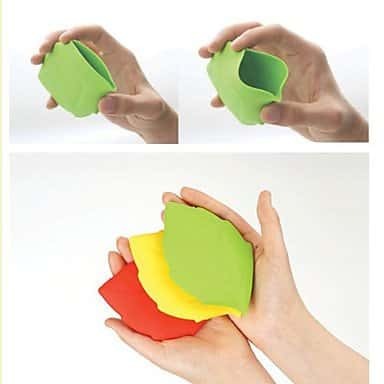 It folds flat so it won't take up a lot of room in your luggage or car.It's also small enough to fit in your pocket. Perfect to carry with toiletries to use for rinsing when you brush your teeth and great for using to give drinks to children when you are at the beach or the park. A versatile piece of equipment that can be used anywhere.